On our first night at Nantucket we attended this welcome party and it deserves a post of its own because it was so. up. my. alley. 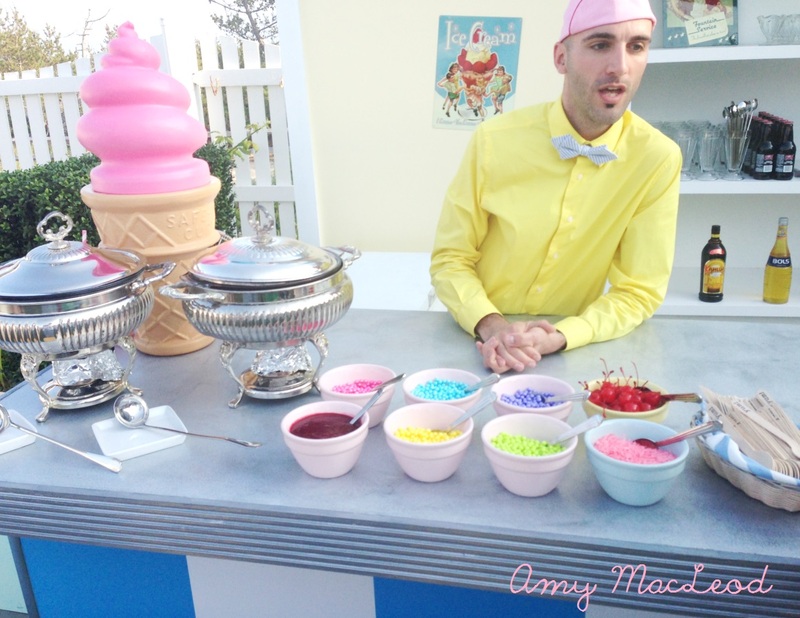 Did you say all-you-can-eat-sundaes from a novelty Sundae Bar served by Brooklyn's finest icrecream hipster man? Did you say picket fences, pink drinks, tent changing rooms, and 50's synchronised swimmers just casually playing with giant pink beach balls?? Do you have a charm bracelet or something similar with mementos that are meaningful to you?? Um, yes please to all of it! 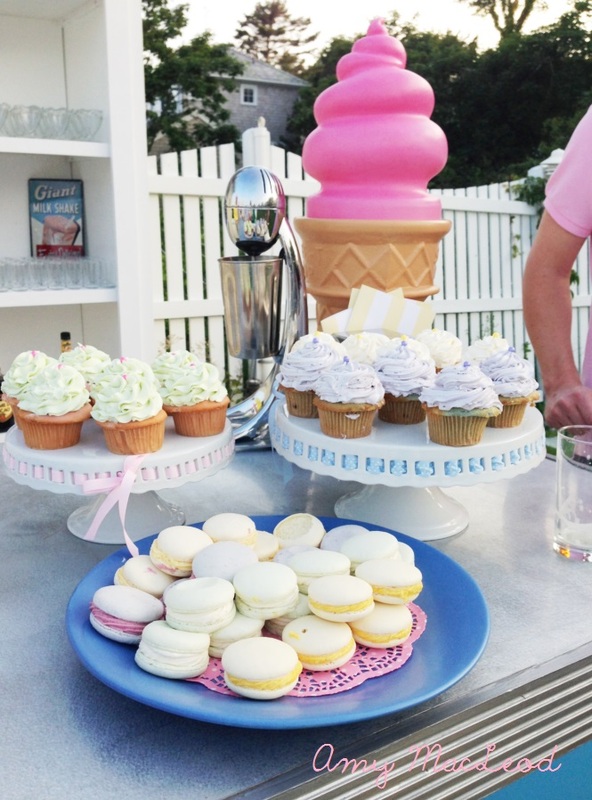 What a cool looking party ....pink decor, luv ....ice cream stand, luv ...ice cream charm, want one!!!! Its adorable, in a sophisticated ( non girlie ) way. 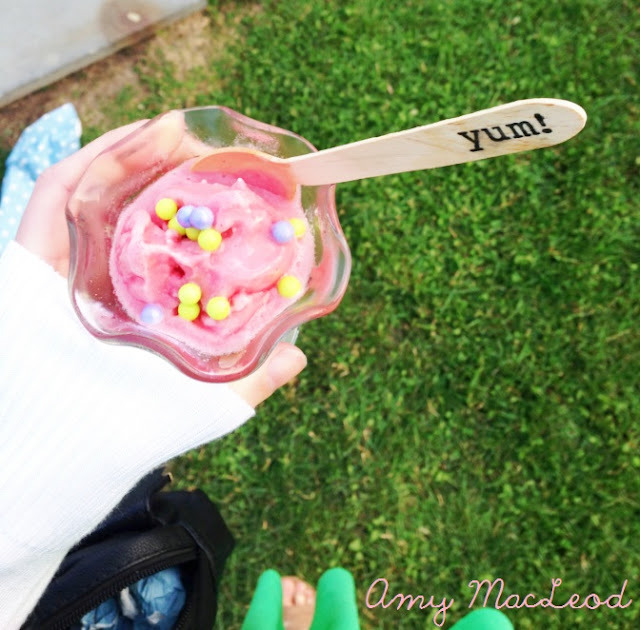 Oh, and luv it since i practically eat ice cream for breakfast lunch and dinner. Glad u had fun.